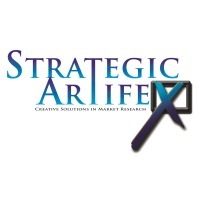 Strategic Artifex conducts full-service market research for some of the most recognized brands in the world. We are a data collection company, gathering valuable insight and information about products consumers use everyday. Through qualitative and quantitative research, we take complex projects with sophisticated demographic demands ensuring our customers accurate and reliable data. Which enables them to make well-informed decisions on new product development & competitive testing. Central Florida is the ideal research setting, with nearly 60 millions visitors yearly! Allowing us access to a national sample not found anywhere else.